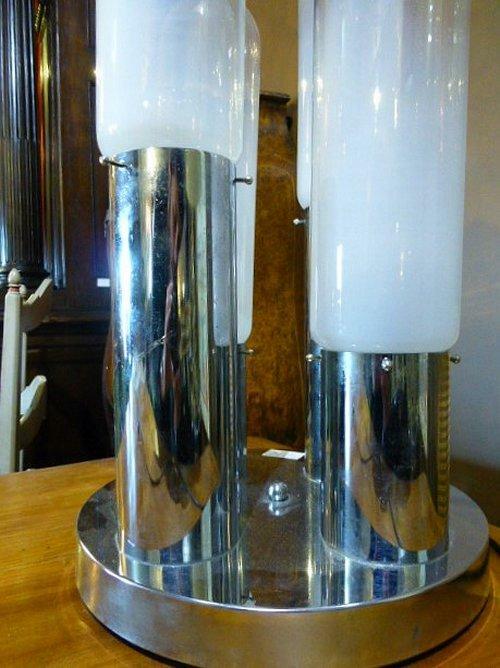 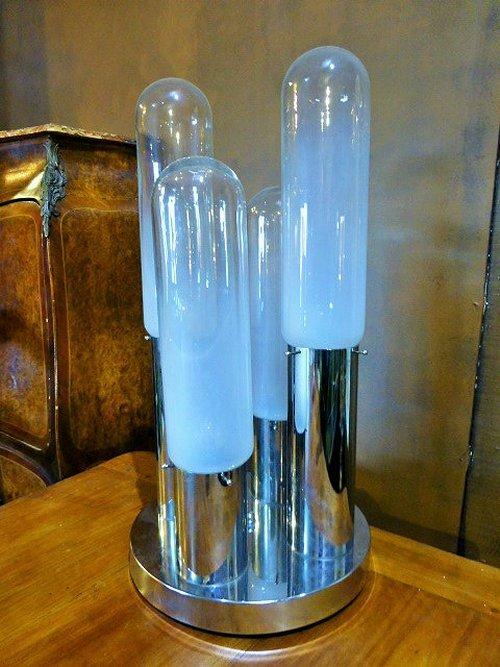 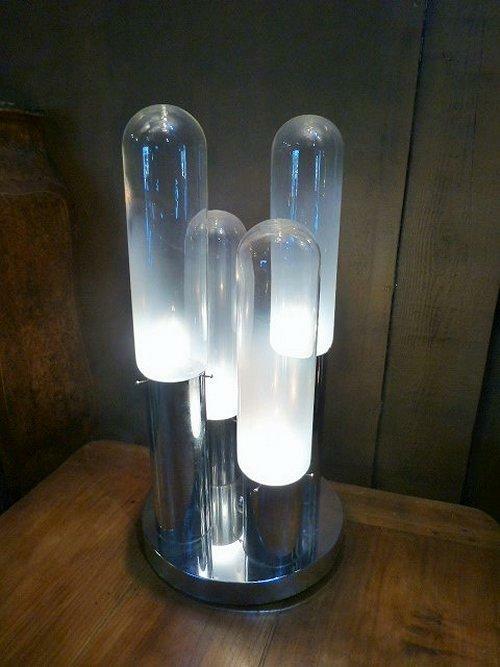 Very pretty lamp with 4 smoked glass tubes from white to transparent. 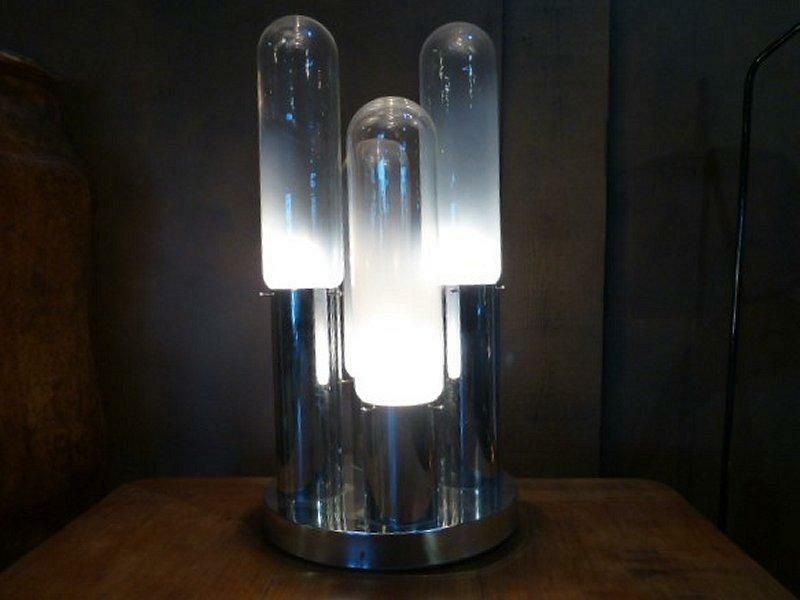 Very esthetic and rare lamp due to its shape. 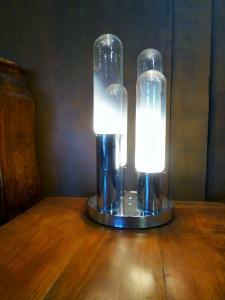 The tubes have several sizes and give to that item a very atypical shape of 60’.